Governments in different parts of the world have been struggling to develop constructive policies to deal with prostitution – as, for example, the British Home Office recently instigated a £1.5 million programme to help address the perceived problems of prostitution. 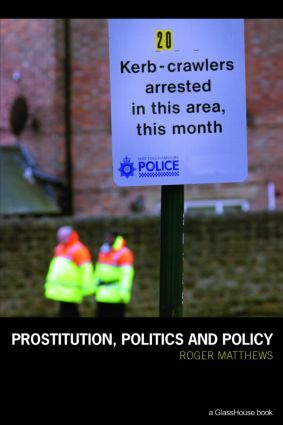 In the context of this struggle, and amidst the publication of various policy documents, Prostitution, Politics & Policy develops a fresh approach to understanding this issue, while presenting a range of what are seen as progressive and radical policy proposals. Much of the debate around prostitution has been polarized between liberals – who want prostitution decriminalized, normalized and humanized – and conservatives – who have argued that prostitution should be abolished. But, drawing on a wide range of international literature, and providing an overview that is both accessible to students and relevant to policy makers and practitioners, Roger Matthews proposes a form of radical realism that is irreducible to either of these two positions. Why has prostitution become an issue?